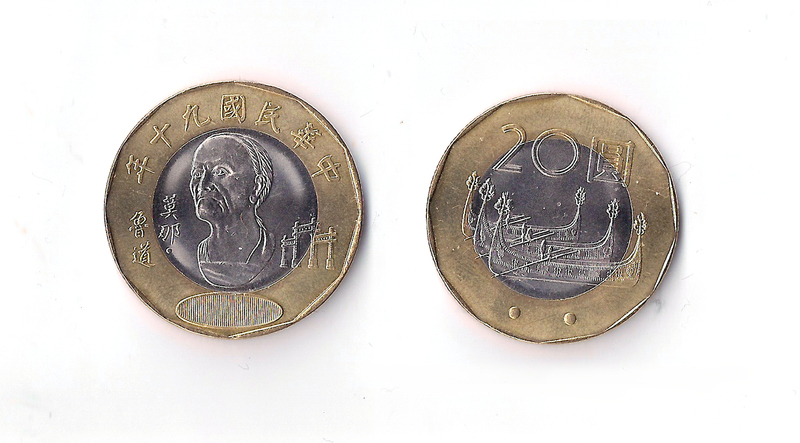 Mona Rudao, the chief of Seediq tribe during the Wushe incident – a rebellion against Japanese rule which ended in a violent crackdown and Rudao’s suicide, has been commemorated on a NT$20 piece that I was handed at a restaurant yesterday. 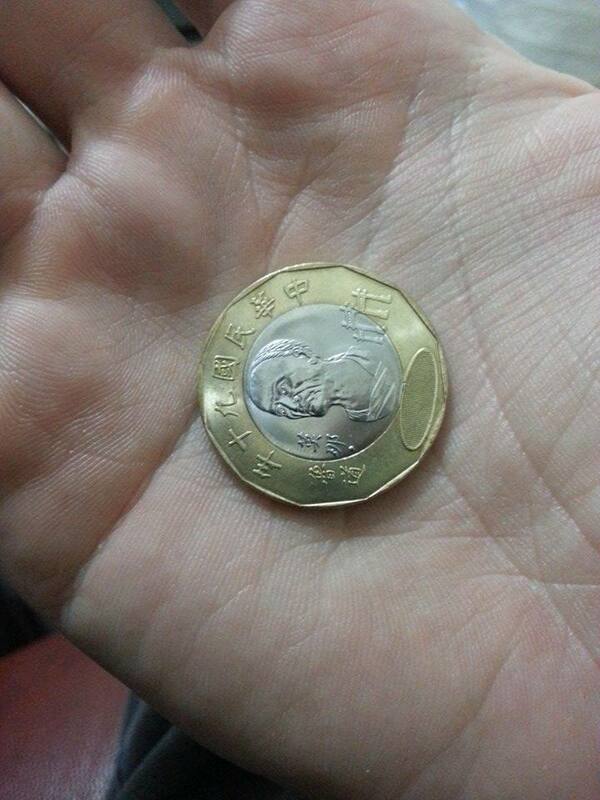 This is the second commemorative coin I’ve come across in Taipei – the other was in commemoration of Chiang Wei-shui, another figure known for resistance against the Japanese during the colonial period. If you’ve gotten your hands on any commemorative coins let me know in the comments section! Only one rule though – no googling – want to see it in your hand, not on Wikipedia. Rudao was apparently featured in the film Seediq Bale, which I’ve yet to see. I found this cool infographic online that has the basics of the event by Hana Lin and outlines the differences from the film. On the other side of the coin appears to be traditional canoes from Orchid Island. This entry was posted in Home, Notes and tagged coins, 莫那魯道, 霧社, Japanese colonialism, Mona Rudao, NT$20, taiwan, Wushe Incident by ladenframe. Bookmark the permalink.